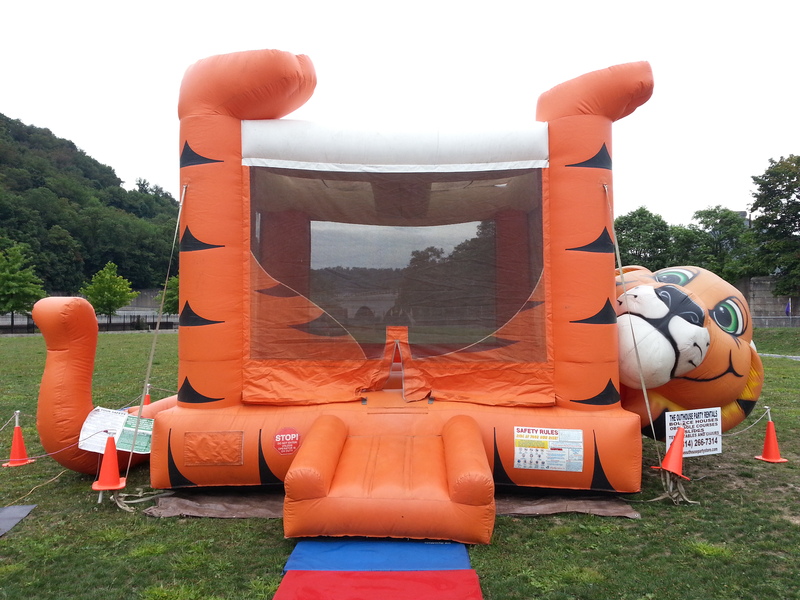 BOUNCE HOUSES :: TIGER BOUNCE - The Outhouse Party Store Online | Candy, Chocolate, Rentals, Holidays, and More! Tiger Belly Bouncer is our most popular Belly inflatable! Kids just love bouncing on the belly of this playful Tiger. This moonwalk features child-proof wall netting that won't catch small fingers, yet remains transparent enough to allow for easy supervision. RENT THIS BOUNCE HOUSE ALL DAY FOR ONLY $150.00!! DELIVERY, SET-UP AND PICK-UP ARE INCLUDED. PLEASE CALL FOR RENTAL DETAILS.